Hi everyone! I have two cards to share with you today. Both cards were made using the Hero Arts Layered Poppy Stamps (and matching dies). 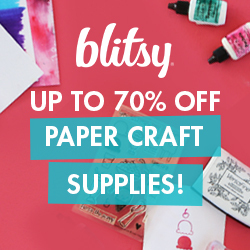 I absolutely love Poppy Flowers and love layered stamps so this set was a must have for me. In the first card, I used a paper pad by Teresa Collins called Gold Glam. That’s where the gold foil lines come from at the bottom of the card. I used a stitched rectangle die by Kat Scrappiness for the main layer and then heat embossed a thanks stamp for the sentiment. I finished it off using some of the clear droplets in 4mm and 6mm sizes, also from Kat Scrappiness. For my second card, I used the same paper pad which had this gorgeous gold foiled wood grain paper in it. 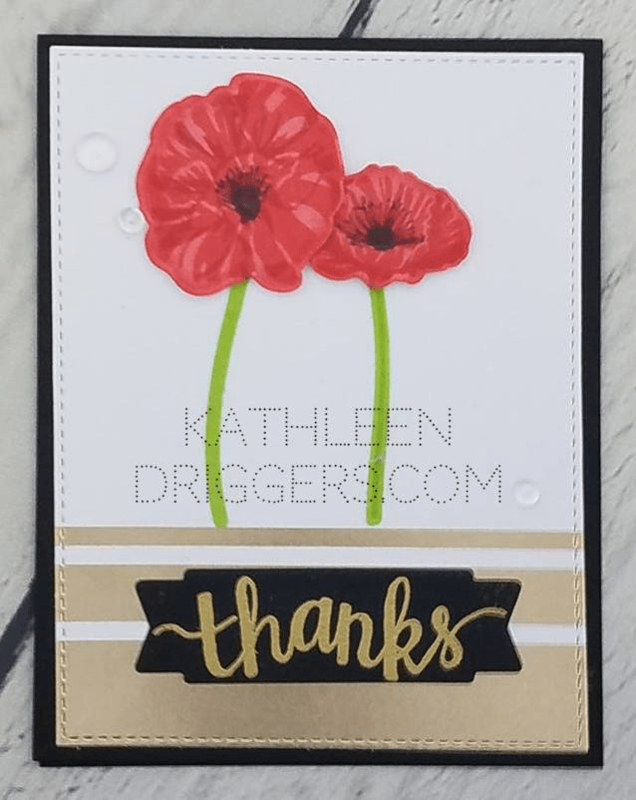 I stamped and die cut the poppies and added a gold heat embossed sentiment. I finished the card off with some 4mm and 6mm Sparkling Clear Confetti, from Kat Scrappiness. Here is a close up of the poppy after it’s been stamped out. The (available) products I used to create this card are listed and linked below for your convenience.